The definition of defeating the purpose. 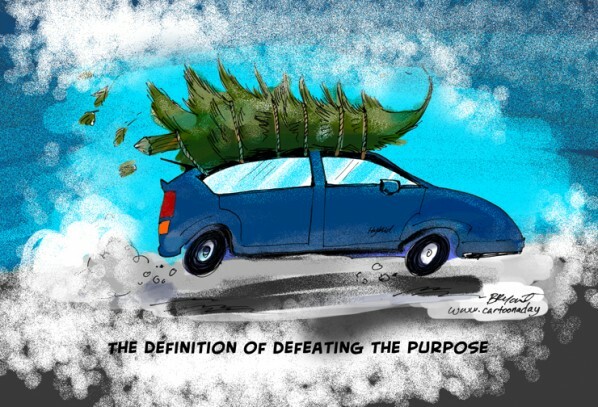 Inspiration: A cartoon of an auto hybrid car loaded with a harvested Christmas tree. The Tree is tied to the roof.